Look, the whole point of lifting heavy weights is to build new muscle tissue. Wasted Workout Or Productive Workout? This is a pet peeve of mine. The same advice is given to every person. Young, old, athlete, obese, it never matters. Just train three days a week in perpetuity. Look, the whole point of lifting heavy weights is to build new muscle tissue. You do that by lifting at the limits of your ability. If you do a wimpy workout, below your peak capacity, there is no reason for your body to build new muscle. Likewise, if you stand in the shade there is no reason to develop a deeper tan. No new adaptation is needed. A productive workout breaks new ground. A productive workouts is so taxing it signals your body to build new muscle to cope with the new intensity of lifting. And frankly, a productive workout has to be engineered because it won’t just happen by fluke. It is a function of the total amount of weight lifted per unit of time. Right now I’m conducting the Power Factor Study and I see this issue literally every day. Trainees send me their workout data and I measure their rate of progress. They do six exercises. It takes careful analysis to determine whether they made progress on six out of six exercises. It takes skill to provide them with new goals to make sure their next workout has goals that push them to new intensity that triggers muscle growth. In order to make progress they can never train Monday, Wednesday and Friday for very long. It’s virtually impossible. Maybe the world’s greatest athlete could do it, you and I can not. And I see the proof of this multiple times per day. As trainees get stronger and lift heavier weights they always – always! – need to space their workout farther apart if they want to break new ground of higher intensity and set new personal records. 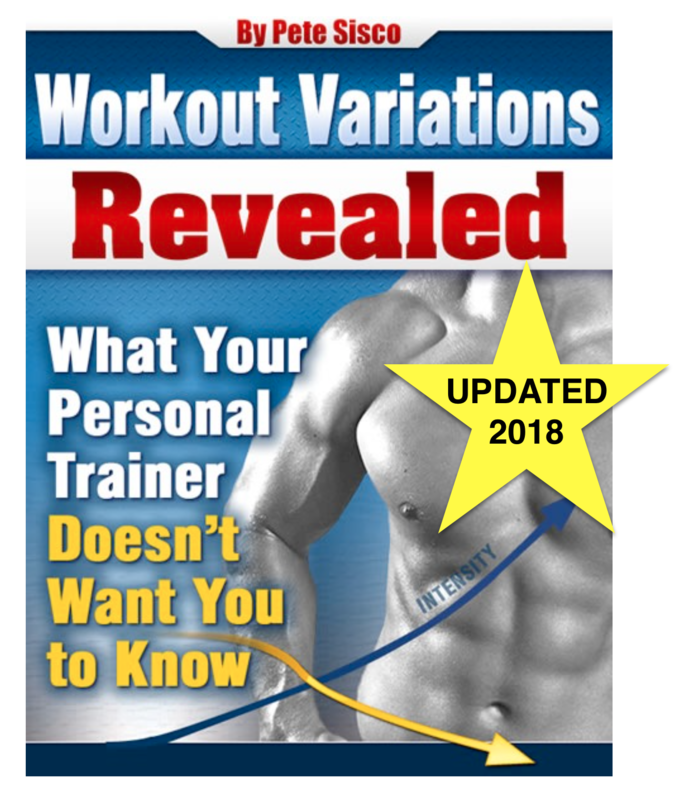 If they train with the same fixed frequency they don’t even stay even – they move backwards! The truth is, every time you enter the gym you should be a new man who is stronger than the man who left the gym a few days ago. You should be able to set a new personal record on every exercise you do that day. That’s what productive training is. Hobby training is just visiting the gym to see your friends and play with some weights. I understand that. But it isn’t productive training. It won’t build new muscle. It’s a wasted workout except for the social benefits. As of today, there are a few slots left in the newest segment of the Power Factor Study. If you are interested in participating and having productive workouts for about 60 days, visit this page. Questions some may have are: I have been lifting weights for years and am pretty well-built and strong. Can I use the standard gym equipment we find in most gyms for this experiment? 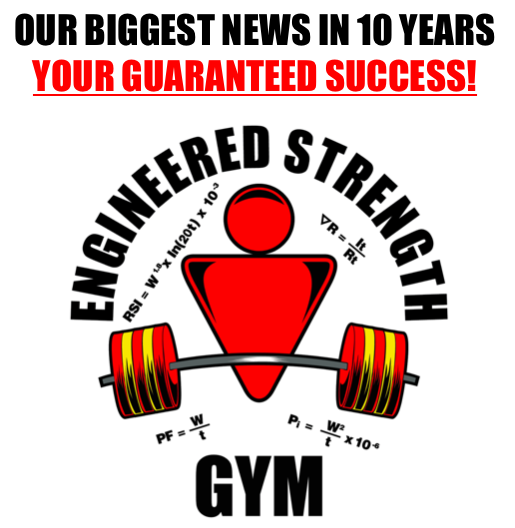 By this I mean (as you well know) some machines are not made so that a person can train only in the “strong range.” Also, many machines will just not have enough room on their bars for enough plates to go for maximum power in just one or two reps. What does one do in such cases in your experiment? The short answer is to find better equipment. It’s often possible to rig a machine so it can be used in strong your strongest range only, by why bother? The exercises we’re talking about are the most common there are and the equipment is in every good gym worldwide. I love the “shade is like a wimpy workout” analogy. Can this be done at a home gym. I have 10-90lb dumbells, bench/squat rack with up to 630lbs of weight? I assume you also have a barbell for those 630lbs of weight so you’re all set. I think more than half my customers train at home.